Volunteer to describe state gov info! The Archive of the California Government Domain, CA.gov, is a collaborative project run by government information librarians at the University of California and Stanford University, coordinated by the California Digital Library (CDL) with support from the California State Library & California State Archives. The project is hosting a metadata sprint December 6-13 to improve description for the collection. If you have a couple hours to contribute, please consider signing up! You don’t need to know anything about metadata, web archives, or California to help out. An asynchronous crowdsourced project to enhance the Archive of California government documents. Help us enrich descriptive metadata for the CA.gov collection in the Internet Archive to make the archive easier to use. Each sprinter works on metadata for a small subset of archived websites. We will provide tutorials, reference materials, and lots of support. Any library or archives staff (including paraprofessionals, iSchool students) with an interest in improving findability and usability of archived state of California government websites. No cataloging experience necessary! More details and sign-up are on the CA.gov Web Archive Metadata Sprint website. This awareness is documented in the many stories in the popular press this year about massive “data rescue” projects drawing literally hundreds of volunteers. It is also demonstrated by the number of people nominating seeds (URLs) and the number of seeds nominated for the current End of Term harvest. These have increased by nearly an order of magnitude or more over 2012. Awareness of need for planning. But beyond the numbers, more people are learning first-hand that rescuing information at the end of its life-cycle can be difficult, incomplete, and subject to error and even loss. It is clear that last minute rescue is essential in early 2017. But it is also clear that, in the future, efficient and effective preservation requires planning. This means that government agencies need to plan for the preservation of the information they create at the beginning of the life-cycle of that information — even before it is actually created. Opportunity to create demonstrable value. This awareness provides libraries with the opportunity to lead a movement to change government information policies that affect long-term preservation of and access to government information. By promoting this change, libraries will be laying the groundwork for future long-term preservation of information that their communities value highly. This provides an exceptional opportunity to work with motivated and inspired user communities toward a common goal. This is good news at a time when librarians are eager to demonstrate the value of libraries. A model exists. And there is more good news. The model for a long-term government information policy not only exists, but libraries are already very familiar with it. In 2010, federal granting agencies like NSF, National Institutes of Health and Department of Energy started requiring researchers who receive Federal grants to develop Data Management Plans (DMPs) for the data collected and analyzed during the research process. Thus, data gathered at government expense by researchers must have a Plan to archive that data and make it available to other researchers. The requirement for DMPs has driven a small revolution of data management in libraries. Gaps in existing regulations. The Federal Records Act and related laws and regulations cover only a portion of the huge amount of information gathered and created by the government. In the past, it was relatively easy to distinguish between “publications” and “Records” but, in the age of digital information, databases, and transactional e-government it is much more difficult to do so. Official executive agency “Records Schedules,” which are approved by the National Archives and Records Administration (NARA), define only a subset of information gathered and created by an agency as Records suitable for deposit with NARA. Further, the implementation of those Records Schedules are subject to interpretation by executive agency political appointees who may not always have preservation as their highest priority. This can make huge swaths of valuable information ineligible for deposit with NARA as Records. Government data, documents, and publications that are not deemed official Records have no long-term preservation plan at all. In the paper-and-ink world, many agency publications that did not qualify as Records were printed by or sent to the Government Publishing Office (GPO) and deposited in Federal Depository Library Program (FDLP) libraries around the country (currently 1,147 libraries). Unfortunately, a perfect storm of policies and procedures has blocked FDLP libraries from preserving this huge class of government information. A 1983 court decision (INS v. Chadha, 462 U.S. 919, 952) makes it impossible to require agencies to deposit documents with the Government Publishing Office (GPO) or FDLP. The 1980 Paperwork Reduction Act (44 U.S.C. §§ 3501–3521) and the Office of Management and budget (OMB)’s Circular A-130 have made it more difficult to distribute government information to FDLP libraries. The shift to born-digital information has decentralized publishing and distribution, and virtually eliminated best practices of meta-data creation and standardization. GPO’s Dissemination and Distribution Policy has severely limited the information it will distribute to FDLP libraries. Together, this “perfect storm” has reduced the deposit of this class of at-risk government information into FDLP libraries by ninety percent over the last twenty years. Some of our readers may have seen this announcement already. But in case not, we need your help to preserve the .gov domain. See the announcement below to find out how. How would YOU like to help preserve the United States federal government .web domain for future generations? But, that’s too huge of a swath of Internet real estate for any one person to preserve, right?! Wrong! The volunteers working on the End of Term Web Archiving Project are doing just that. But we need your help. The Library of Congress, California Digital Library, University of North Texas Libraries, Internet Archive, George Washington University Libraries, Stanford University Libraries, and the U.S. Government Publishing Office (GPO) have joined together for a collaborative project to preserve public United States Government websites at the end of the current presidential administration ending January 20, 2017. This web harvest — like its predecessors in 2008 and 2012 — is intended to document the federal government’s presence on the World Wide Web during the transition of Presidential administrations and to enhance the existing collections of the partner institutions. This broad comprehensive crawl of the .gov domain will include as many federal .gov sites as we can find, plus federal content in other domains (such as .mil, .com, and social media content). And that’s where YOU come in. You can help the project immensely by nominating your favorite .gov website, other federal government websites, or governmental social media account with the End of Term Nomination Tool (link below). You can nominate as many sites as you want. Nominate early and often! Tell your friends, family and colleagues to do the same. Help us preserve the .gov domain for posterity, public access, and long-term preservation. Only YOU can help prevent … link rot! Internet preservation: what do we do now? 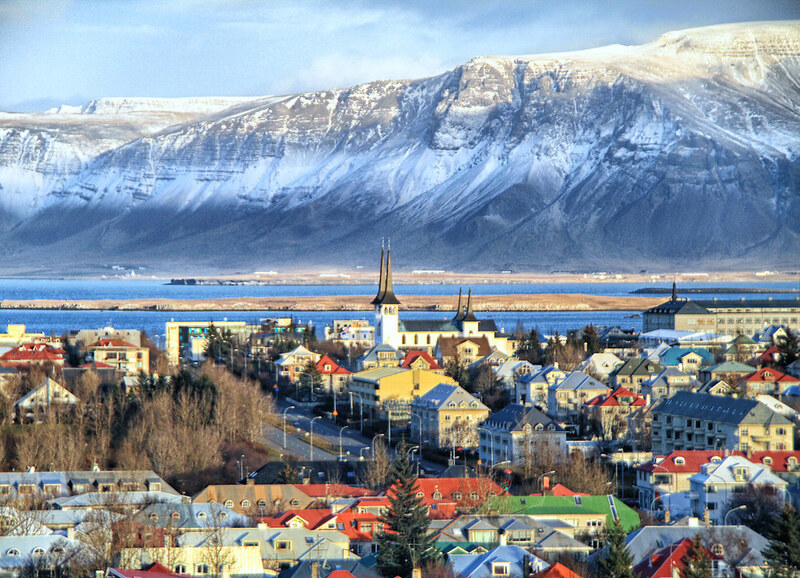 I’m at the International Internet Preservation Consortium General Assembly and Conference this week in beautiful Reykjavik, Iceland. Follow the flow of the conversation from the #IIPCga16 and #IIPCwac16 twitter hashtags. The technologies and tools to collect, preserve and use Web archives are technically challenging, but getting better every day. The twitter stream includes MANY links to great tools and use cases for Web archives. I really appreciated British Library’s Andy Jackson’s presentation about his work “Building tools to archive the modern Web”, Brewster Kahle’s “Distributed Web” proposal, Harvard Library’s “Web archiving environmental scan”, but there’s a lot of amazing work going on in this space! 30 national libraries are crawling and preserving their own domains. Government information is of great interest, and many countries have legal deposit laws that put them on sound legal footing to collect and preserve their countries’ Web content. The US .gov/.mil End of term crawl 2016 is coming up quickly and we’re making plans. There will again be a link recommendation tool and perhaps other non-technical ways for the community to help. Despite the great tools and very smart technologists, this group could really use input from subject/domain specialists. We’re the ones who have the specialized knowledge to know what to collect. It’s clear in my mind that the world needs MORE govt information librarians, not less! I highly recommend attending IIPC next year in Lisbon, Portugal (I’ll be there I hope!!) or in the future if the conference is in a city near you.